In a society filled with disruptors, you would be hard-pressed to find another automobile that set the bar for its class, as well as the LS, did in in 1990. 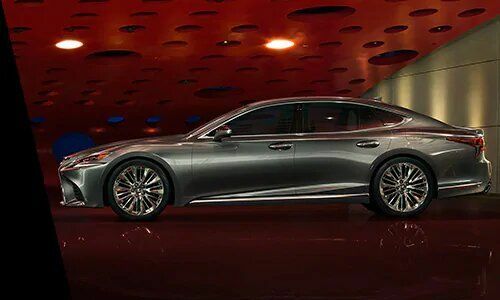 Now, nearly three decades later, get ready to see history repeat itself as Lexus introduces the 2018 LS500. With notes of power, performance, luxury and design, it's time, once again for there to be a disruption in the automotive world. Debuting a bold design, coupe-like silhouette and adhering to the overall Lexus design aesthetic, the LS aims to anticipate once again what luxury customers expect out of their vehicle. The LS offers a dynamic front fascia complimented by deep angles, swoops, and contours to engage onlookers into a hypnotic daze. As you slowly transition back into reality, you will be welcomed by equally striking Z-shaped headlights accentuated by LED daytime running lights, keeping the overall design in line with renowned Lexus design principles. The original LS 400 provided consumers with a balance of luxury and performance, and the latest model sticks true to its roots. Powered by a 3.5-litre V-6 engine, the LS outputs an impressive 415 horsepower along with 442 pound-feet of torque. This is a significant upgrade over the 386 HP of the previous LS model. 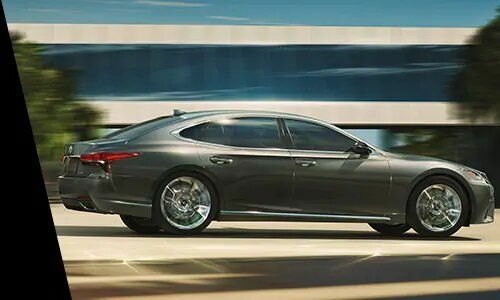 To put this power into context, the 2018 Lexus LS can go from 0 - 100 KM/HR in only 4.5 seconds. Gone are the days of simply getting in your car, turning it on and driving to your destination. The LS aims to turn the most mundane of drives into something straight out of a science fiction film. 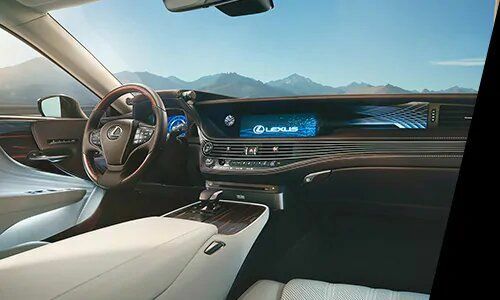 The 2018 Lexus LS offers a dynamic 12.3-inch navigation display with the option of upgrading it to a 24-inch heads-up display; which is the largest colour HUD of any production car in the world. To go along with striking visuals, it also offers the new Active Noise Control system which uses sensors to offset engine noise and provide a noise-free driving experience. Boasting a strong impact resistant structure, the LS offers a great deal of passive safety. 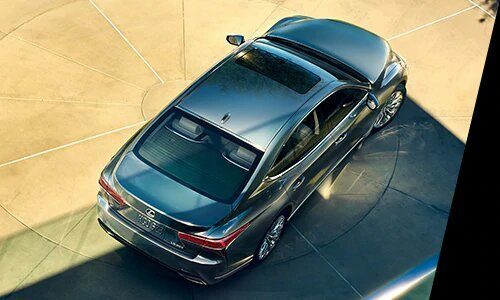 Featuring the Lexus Safety System+ provides the LS with a suite of state-of-the-art safety features. These include; automatic braking, lane departure warning, automatic high beams and dynamic radar cruise control. Buyers will also have the option of the Advanced Safety Package which provides preventative features such as Pedestrian Detection with Active Steering system. This essentially means that the LS will automatically brake if a pedestrian is detected in front of the vehicle and a collision is imminent.